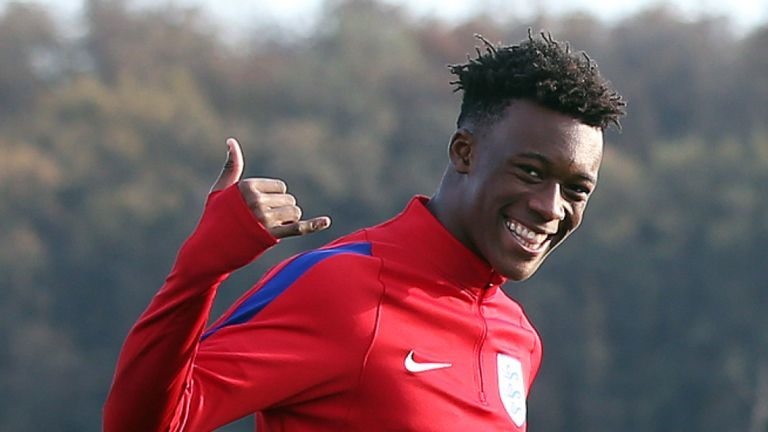 LONDON — Chelsea teenager Callum Hudson-Odoi was called up by England for the first time, while Southampton midfielder James Ward-Prowse was also drafted into Gareth Southgate’s squad on Monday amid a series of withdrawals due to injury. "It’s been a crazy day but getting my first (senior) international call-up is an amazing feeling," said Hudson-Odoi, who had just arrived in Bristol for his first call-up to the England under-21 squad before being told to head to the senior side’s training base in the Midlands. "I was shocked and then when I heard that I actually had to go over, I couldn’t believe it. I was delighted. It’s a dream come true. "Now I’ve got to work hard, enjoy every moment and keep working to just hopefully make an impact when I get the opportunity." Ward-Prowse has just one senior international cap but is well-known to England boss Gareth Southgate from their time together as manager and captain of England’s under-21s. The 24-year-old has led Southampton’s battle for Premier League survival with goals in his past three games, including brilliant free-kicks against Manchester United and Tottenham. "We love Prowsey. I’ve been accused of being ’father of Prowsey’ over the years," said Southgate when announcing his squad last week. There was better injury news for Southgate on Jordan Henderson as Liverpool manager Jurgen Klopp confirmed the midfielder will join up with the squad this week after suffering an ankle injury in the Reds’ 3-1 win over Bayern Munich last week. "Hendo will go to the national team -- two or three days at (Liverpool’s training ground) Melwood to do the rehab, but it looks positive," said Klopp. "If he plays, Gareth will decide then, but it’s really positive.